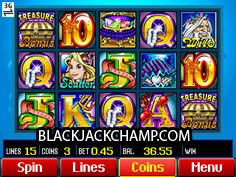 Mermaids Millions mobile slot, from Spin 3, is a 5-reel, 15-payline, 5-coin game which submerges you into the depths of the ocean to explore the fantastic city of the mermaids, where fabulous treasures await your discovery. 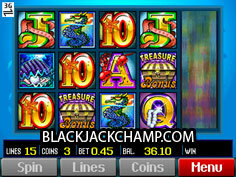 The game is extremely easy to use and a lot of fun to play, with bright, vivid colors and convenient user controls. 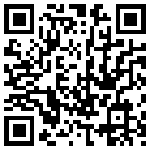 A nice bubbly tune merrily moves the game along creating a nice ambient atmosphere. 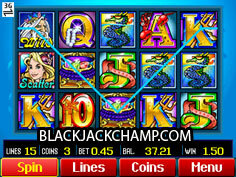 A very playable mobile slot that you can enjoy at your own convenience anywhere you want. 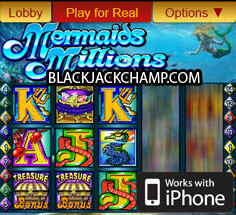 Mermaids Millions mobile casino game has all the advanced feature present in top of the line slots. 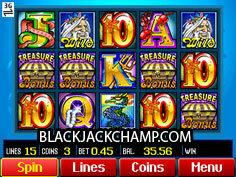 The wild symbol, the scatter, free spins as well as a second-screen mini-bonus game which delights with a jackpot heavy gaming experience. 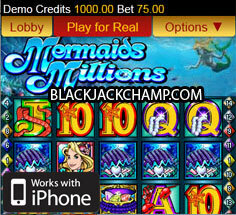 There’s lots of ways to win in Mermaid Millions mobile slot. It almost feels as if no matter what you do, you are hitting some combination and your bankroll slowly grows. 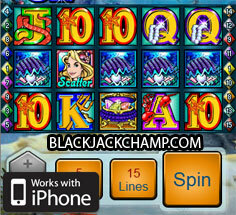 Overall, this is an excellent mobile slot that is definitely worth taking for a free spin.